Allen-Bradley is one of the most recognizable industrial automation brands in the world. ICR’s extensive knowledge and expertise with Allen-Bradley PLC repair keeps industry moving by saving time and money. From the economical and easy to use Micro 800 family of PLCs to the more advanced and high performing ControlLogix and GuardLogix control systems. All supported CPU, Communication, Motion, Safety, and I/O modules undergo testing using in-house equipment with the appropriate programming software to ensure proper communication. ⚹ Control system has been discontinued by the manufacturer. What If My Part Is Unrepairable? We understand finding solutions for parts that have been discontinued by the manufacturer can be difficult. When your failed part is irreparable and getting a replacement requires a system migration to a newer platform – ICR’s Equipment Sales may be able to provide you with a replacement. We encourage you to check back often as items are added daily. In a hurry or in need of an emergency part? Give us a call at (586) 582-1500 and one of our experienced customer service representatives will find it for you. 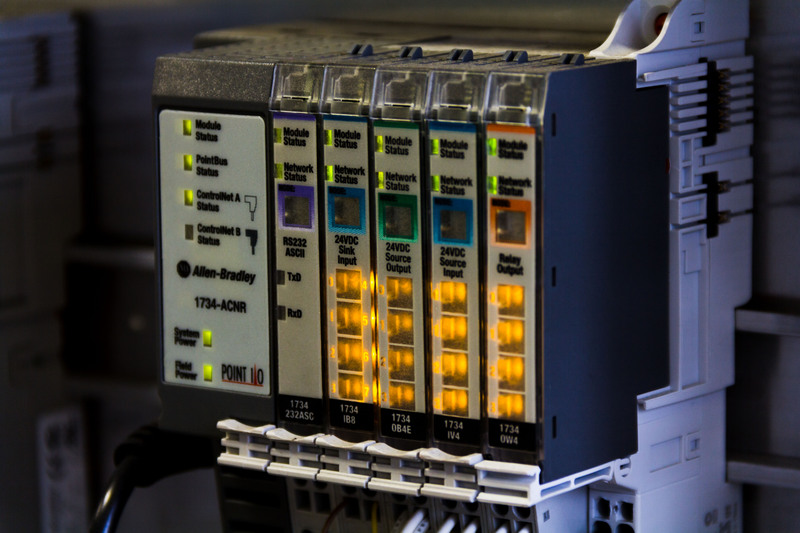 Connect the Allen-Bradley PLC modules to the proper family rack system to ensure compatibility and communication. Perform root-cause analysis to pinpoint failure and remove and replace any defective or contaminated components. Allen-Bradley PLCs undergo system testing with AB software for up to 48-hours on average. All repairs are backed by our in-service warranty. The 48-hour system test/burn-in does not apply to emergency or rush situations unless requested.